Well there isn't much to say about the additional hardware except to make sure that you get the LED in the correct way around. You can wire up the two components on the HC-SR04 breadboard conveniently. 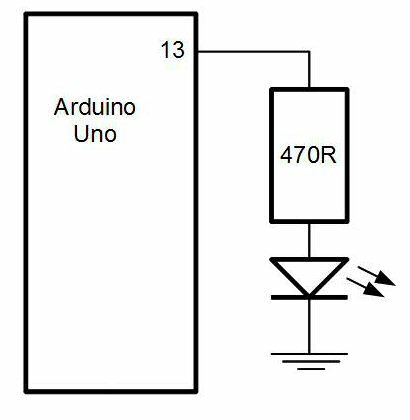 This version of the Motion sensor simply flashes the LED when movement is detected but you could use the output to drive a buzzer or even a relay attached to a battery operated water gun if you wanted to. Each time motion is detected the output goes high for a few seconds after which there is a rest period during which it will not fire again. This helps to keep multiple triggering on the same movement to a minimum.